Former addict Macklemore brings America’s drug crisis to the White House in a new MTV documentary. 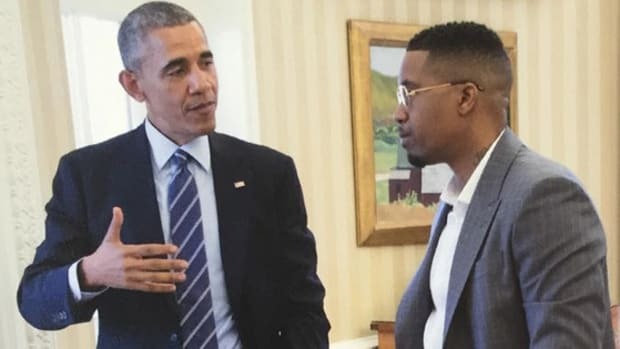 Earlier this year, Macklemore met with President Obama at the White House for a discussion on opioid addiction. It’s a problem that’s been growing at an alarming rate in the US: deaths from opioid overdoses have tripled since 1999, and more often than not, the prescription trail leads back to doctors, not drug dealers. It’s an epidemic that’s killing 78 Americans every day, according to the CDC. The Seattle native is particularly equipped to speak on the subject, having struggled with opioid addiction himself. What started out as a weed habit in high school eventually turned into a dangerous dance with alcohol and Oxycontin that forced him to check into rehab at age 25. 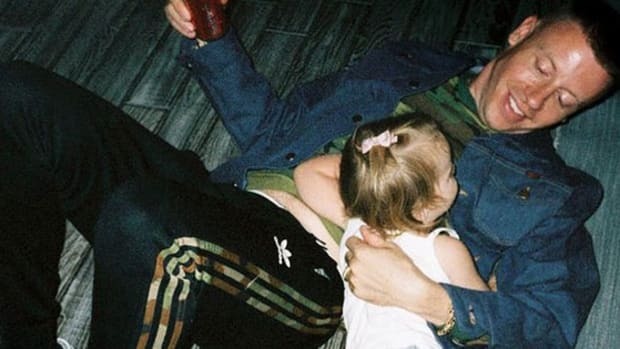 Despite becoming one of the most successful rap artists of the past half-decade, Macklemore has relapsed twice—once in 2011, and again in 2014—proving that staying sober is far from an easy victory. By now you’ve hopefully seen Macklemore and Obama’s weekly address on opioid addiction. While the PSA is an enlightening watch on an increasingly important issue, the main reason for Macklemore’s White House visit was to film a documentary called Prescription For Change: Ending America’s Opioid Crisis, which airs tonight at 9pm ET on MTV. In a new excerpt from the one-hour film, Macklemore, who also serves as executive producer, speaks with the President himself about the reality of America’s opioid crisis. "The good news is that awareness is starting to rise. And I’ll be honest with you, part of what is starting to change is the opioids crisis is getting into communities that are suburban, that are relatively well to do, rural communities, white communities, and people’s kids who are being affected are folks who have a voice and they’re starting to recognize that generally how we’ve dealt with the reduction of addiction and drugs has been often times counterproductive and that we need to shift a lot more resources into treatment. But we’re still way short of where we need to be." In other words, opioid addiction only becomes a problem once middle-class white people get hooked. 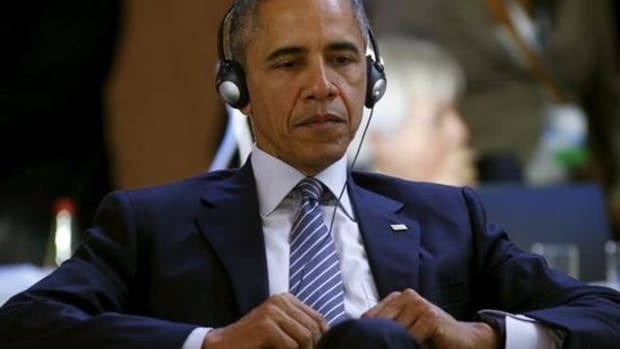 At least Barry is honest enough to admit it. Cherish him while you can, folks. 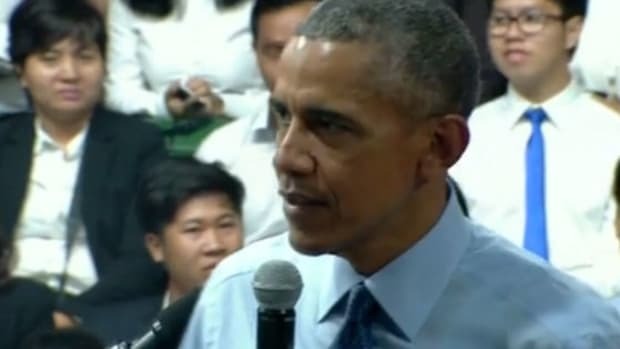 The leader of the free world offers to beatbox for an emcee during a trip to Vietnam. This is the only hip-hop video you need to see today. 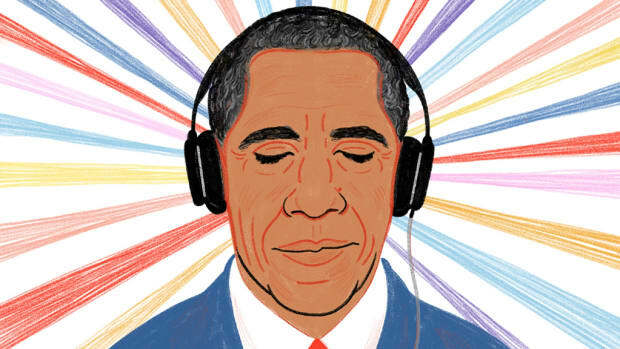 Don't sleep on the latest playlist from our commander-in-chief.